Jeff Shryer has been active in Real Estate, and building custom homes, executive remodeling, and Real Estate investing in the greater Springfield Missouri area for over 35 years. 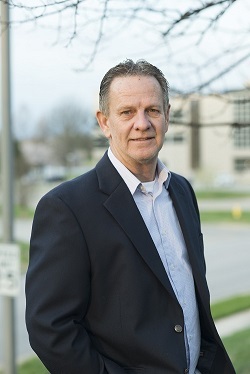 Born in , (the state's 3rd largest city), Jeff grew up in south east Springfield, Mo and moving to south central Springfield where he graduated from Greenwood Lab School, (Class of '73), and attending Southwest Missouri State,(MSU) he started building and developing as well as investing in real estate. Jeff later moved to Christian County in 1978 where he raised his son in the Nixa Schools. Many years of experience and expertise in new-home construction and development management give him the advantage over many other Real Estate agents in the area. Today, Shryer Homes Design/Build is a complete service construction company where your home is designed on one of the most advanced design computer programs. Experience in Real estate, building and developing has helped Jeff become a favorite consultant to banks with REO properties. �	Built and designed speculative (SPEC) homes and custom homes in the following subdivisions around the Greater Ozarks area: Frisco Trails Subdivision, Fox Grape, Country Gate, Holly Oak, Spring Creek, Chimney Hills, Crown Meadow, , Pearson Meadow, and Glenn Oaks Nixa, Frisco Trails Subdivision, and Timberline. �	Sometimes called the "House Doctor". Problem solving for the home owner. �	Years of experience with extensive remodeling projects and executive room additions as well as designing or rebuilding homes destroyed or damaged by tornado's, fire, flooding. �	Currently building in Quail Creek Neighborhood in south Springfield as well as Schuler Ridge Subdivision, Republic, MO and Frisco Trails Subdivision in Greene, County and in Nixa, . Some of Jeff's designs can also be seen in and Pearson Meadow subdivisions in Green County Missouri. Jeff is also responsible for bringing new technology to the area with new products for masonry and helping with the toxic mold or "black mold" as many know it. With this new technology, mildew, Black mold, or toxic mold with Manufactured Stone, Stucco, and EIFS exterior siding is eliminated. Buying or selling your home? With over 35 years experience in problem solving, construction practices, structural issues, and Real Estate consulting, Jeff can use his many years experience in solving most issues and questions you have in buying or selling. Fix before you sell. Fix before you buy. "I understand how homes are built both old and new"
Click HERE for More helpful information about buying and selling Springfield, Mo Home for sale website. Jeff was a member of the National Association of Home Builders (NAHB) and past member of the Home Builders Association of Greater Springfield (HBA) for 8 years. To become a member of the HBA organization, builders and remodelers must meet strict guidelines, including certain basic standards of reputation, peer-inspected work, proper insurance coverage, and financial stability.